Many people think that when they have a problem with their foundation–wall, floor, slab, or foundation cracks, bowing or leaning walls, leaning chimney, or sticking doors or windows–that they can repair these issues themselves. Problem is, more times than not, these repairs will cause more bad than good, and can even create more damage to already fragile foundation problems. So what do you do? It is much safer and definitely more responsible to call a team of professional foundation repair specialists. It is a relatively big investment, but it will keep your home in its best shape for many years to come. You definitely won’t have the same problems again. So why should you choose to pay for repairs instead of doing them yourself? Well, when you call a professional team of foundation repair specialists, you can rest easy knowing that whatever repairs are made are going to be long-lasting, safe, and effective. When a homeowner makes their own repairs there is a huge possibility of making mistakes. The people who you can call to come in and make repairs are professionals, they have learned how to efficiently and safely make all types of foundation repairs. It is their job, and they definitely know how to do it. 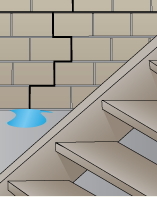 If you are looking for someone to call to make foundation repairs, where should you go looking? Well, we can tell you that you do not have to look any further. Why should you pick Atlas Piers? Because we are the best when it comes to residential and commercial foundation repair in Georgia and its surrounding areas such as Tennessee, Alabama, North Carolina, South Carolina, and Florida. We have years of experience, over 25 years to be precise, and can promise a quality job and peace of mind. In fact, 99.9% of our work has been error free in those 25 years. All we want is for you to feel like your home is a safe and secure environment for all. We know that your home is a huge investment, and we will treat it as such. Every project we do will be given the respect that you would give it. We understand that repairs of this nature are costly, and we promise to keep our projects on time and in budget. We offer a variety of foundation repair solutions, for all your foundation repair needs. Some of our products and repair processes include helical piers, steel push piers, helical tiebacks, helical slab piers, carbon fiber repair, underpinning, shoring, and encapsulation. Of course, these products are of the highest quality, from one of the top producers of foundation repair products, Earth Contact Products. 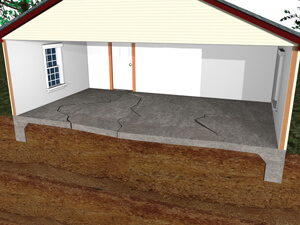 We are completely dedicated to repairing whatever foundation failure issue you may have. Atlas Piers is the best choice for all your foundation failure repair needs. We can promise the best experience possible, we pride ourselves on fantastic products, customer service, and engineering. Give us a call today! We will even give you a free estimate. Whatever you choose, we are happy to help you in any way we can.